H ΒΜW και ο γραφίστας Stefan Sagmeister παρουσίασαν το νέο βιβλίο, το Culture το οποίο μπορεί ταυτόχρονα να γίνει και ένα ηλεκτρικό τηλεκατευθυνόμενο παιχνίδι. Το βιβλίο έχει εκδοθεί ώστε να γιορτάσει τα 40 χρόνια υποστήριξης της γερμανικής εταιρίας στις τέχνες. Ο Stefan Sagmeister έχει βραβευτεί με Grammy και έχει σχεδιάσει αρκετά εξώφυλλα δίσκων για τους Rolling Stones και τους Talking Heads. Το βιβλίο δεν πωλείται και τα 1488 αντίγραφα του, έχουν υπογραφτεί από τον ίδιο τον Sagmeister. Η παρουσίαση του έγινε σήμερα στο Βερολίνο από τον Frank-Peter Arndt μέλος του διοικητικού συμβουλίου της BMW. Video και φωτογραφίες στη συνέχεια. Munich/New York. The BMW Group is celebrating 40 years of cultural commitment and is currently supporting more than 100 projects throughout the world. 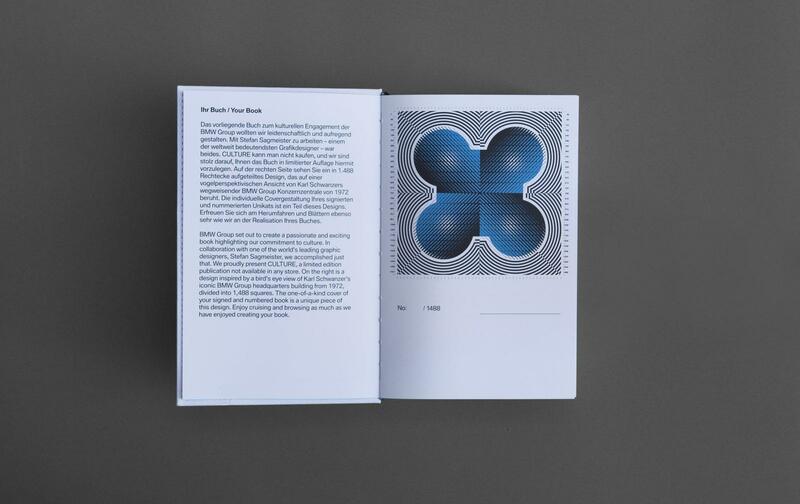 To mark this occasion, the internationally celebrated New York-based graphic designer Stefan Sagmeister has created the design of the publication CULTURE, a book describing the BMW Group’s international cultural partnerships. 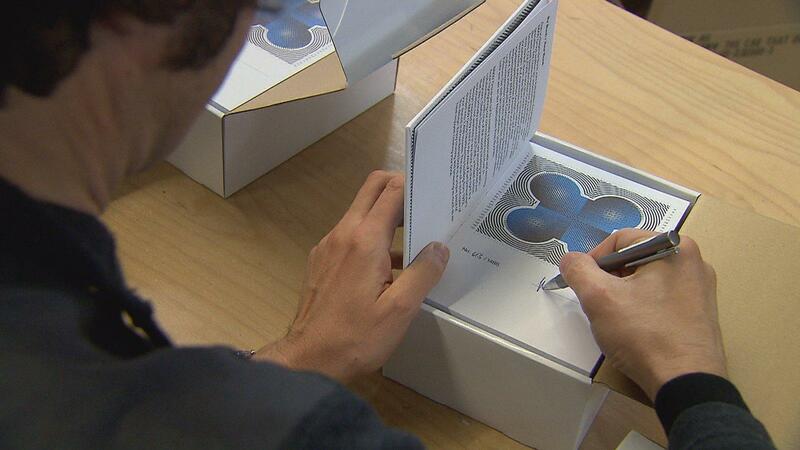 The limited edition of 1488 hand-signed copies, which are not available for sale, will be first presented to the public by BMW board member Frank-Peter Arndt at a press conference in Berlin on March 9, 2011. 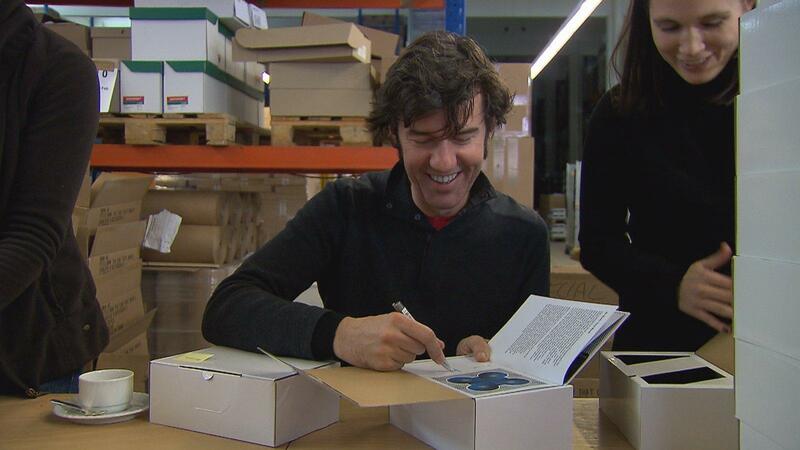 Stefan Sagmeister explains his concept: “In a publication about all the cultural activities of the BMW Group it made sense to include four hidden wheels and a remote control that allows readers to drive the book around the room. 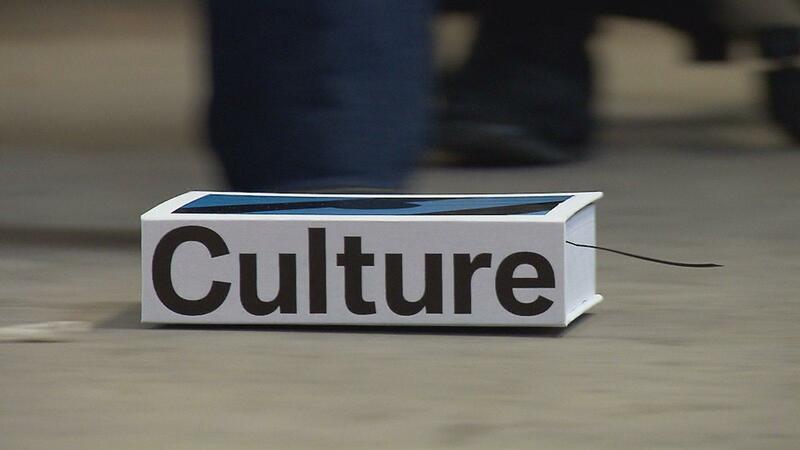 Culture really moves.” The concept is – typical of Sagmeister – unconventional and refreshingly new: CULTURE is not only a book to browse through, but as it also features an integrated, remote-controlled car, a book that can be driven around. As a whole, the numerical arrangement of all book covers would make a square measuring 7 x 7 metres depicting a graphically abstracted image of the legendary BMW “four cylinder” building – the company headquarters in Munich built by Karl Schwanzer in 1972 – from a bird’s eye view. Consequently, each book cover becomes a fragmented, unique specimen. 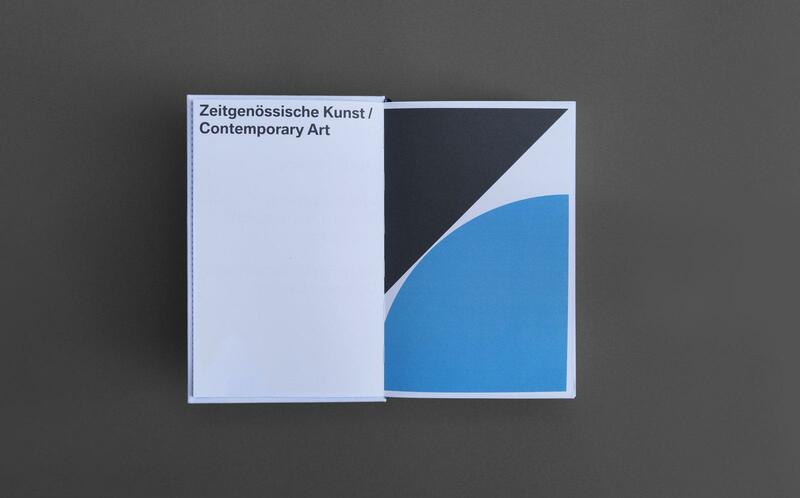 The book is divided into four parts according to the BMW Group’s main cultural activities – contemporary art, classical music and jazz, architecture and design and, finally, culture within the company. The first three chapters are each preceded by a quote from the conductor Daniel Barenboim, the artist Olafur Eliasson and the architect Zaha Hadid respectively. This is where partners from the culture communication network have their say. Containing more than 50 partly full-page colour reproductions, CULTURE also illustrates a selective overview of the spectrum of the BMW Group’s international cultural involvement. 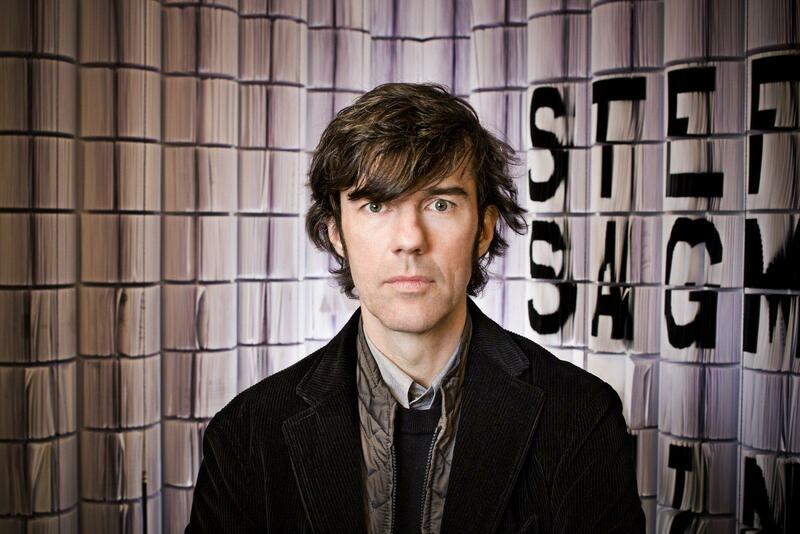 Stefan Sagmeister Two-time Grammy winner Stefan Sagmeister, a native Austrian, studied in Vienna and New York. He designed prize-winning album covers for the Rolling Stones, the Talking Heads and Lou Reed, but is far more than a designer of CD covers. Whether film installation, furniture, posters or books, Sagmeister is a broadly positioned, globally operating artist. The publication “Sagmeister. Made you Look” went on to become a bestseller. In addition to the Grammy awards, he received further internationally significant design prizes such as the Lucky Strike Designer Award 2009 and the Cooper-Hewitt Communications Design Award 2005. 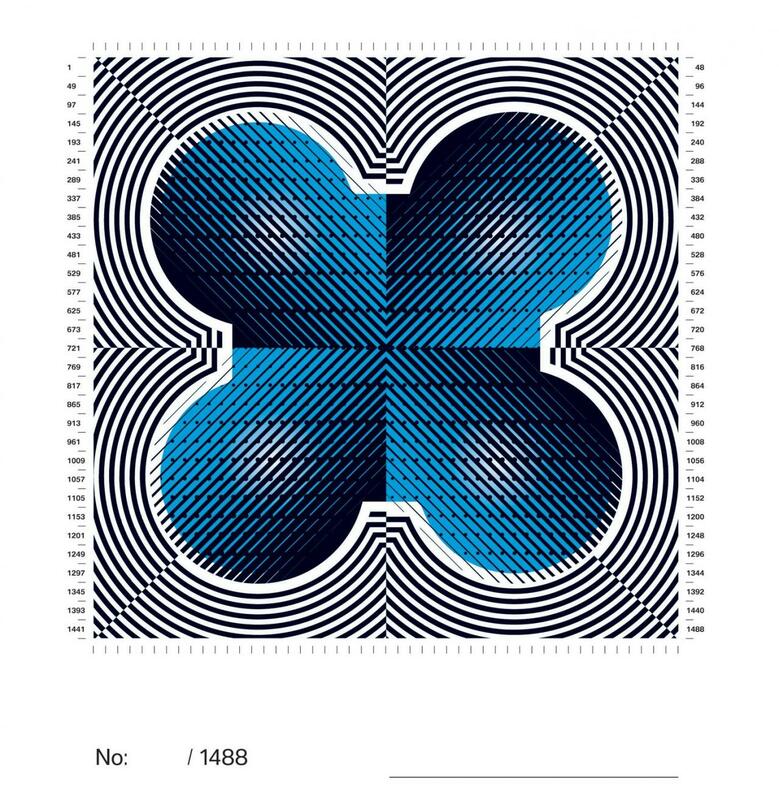 As a result, Sagmeister has become a frequently shown designer at international galleries and museums as well. Cities that have already held individual exhibitions comprising works by Sagmeister Inc. include Zurich, Vienna, New York, Berlin, Tokyo, Osaka, Prague, Cologne and Seoul.